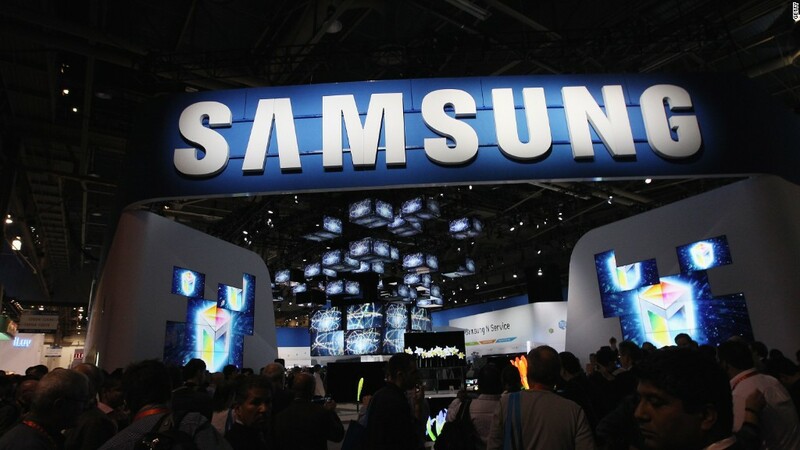 Samsung could soon unseat its biggest rival as the tech world's biggest money making machine. The company reported bumper quarterly earnings on Thursday, putting Samsung on track to record a higher operating profit for the period than Apple. Samsung pulled in 61 trillion won ($54.8 billion) in revenue and 14 trillion won ($12.6 billion) in profit for the three months ending June 31. Apple (AAPL) will release its earnings for the same period next week. Analysts expect the iPhone maker to report revenue of $44.9 billion and an operating profit of $10.5 billion, according to Reuters and Bloomberg data. Though Samsung is the world's leading smartphone maker, it was bumper demand for memory chips that drove the company's earnings to new heights. The chips unit posted 8 trillion won ($7.2 billion) in operating profit, or nearly half the group's total. Analysts expect the momentum to continue for the rest of the year, driven by the release of Samsung's next smartphone, the Galaxy Note 8, and sustained demand for memory chips. The South Korean tech giant will also benefit from the success of rival smartphone makers. Samsung will see "a meaningful revenue increase" thanks to the supply of display panels "to a major smartphone customer" in the next three months, Daiwa Capital Markets analyst SK Kim wrote in an investors note. That major customer is likely Apple, which has reportedly ordered tens of millions of Samsung display panels for its upcoming iPhone. Samsung's windfall caps a tumultuous year for the South Korean conglomerate. Less than a year ago, the company's fire-prone Note 7 had to be recalled, costing the company more than $5 billion. The bumper profits also come amid the ongoing criminal trial of Samsung's de facto leader Jay Y. Lee. Lee is facing charges of bribery and corruption related to a far-reaching scandal that resulted in the ouster of former South Korean President Park Geun-hye earlier this year. Lee's lawyer has flatly denied the charges. -- Corrected: An earlier version of this story incorrectly stated that Samsung had never previously posted a bigger quarterly profit than Apple.